When Lviv-born writer Leopold von Sacher-Masoch realised that his name was about to go down in history as the inspiration for the word masochism, he was a little put out. In fact, he was positively pissed off. After all, if you were about to join the hallowed ranks of James Watt, Gabriel Fahrenheit and the mighty Ferruccio Lamborghini, you would hope that it would be for something noble, something resplendent.... 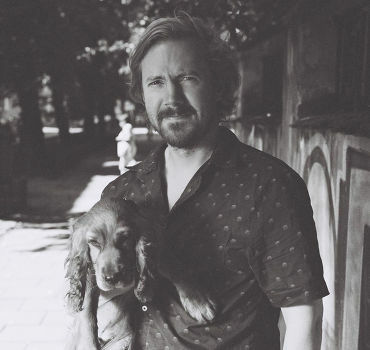 But hapless Leo had rather shot himself in the foot on that score, as he'd penned a novel about a man whose chief pleasure in life was to be thrashed by a beautiful lady - preferably one who is wearing nothing more than a fur coat. Suffice it to say, the book was autobiographical. Leopold von Sacher-Masoch was born in Lviv - then called Lemberg - in 1836. At that time, the city was the capital of Habsburg Galicia, and Leopold's childhood would have given Sigmund Freud plenty of food for thought. Indeed, Leopold's father was the city's Chief of Police, a fairly ruthless job in those days, as Galicia was a tinderbox waiting to ignite. When a Polish uprising against Austrian rule flared up in 1846, the Austrians engineered a peasants' revolt to nip the rebellion in the bud - peasants were paid in gold for noblemen's heads. Not exactly the stuff of bedtime stories. Von Sacher-Masoch senior was a key figure in this brutal scheme, and many years later, Leopold's wife recalled that whilst her husband 'idolized' his mother, "his love for his family seemed to stop'' when it came to his father, "who had been neither a tender father to his children nor a good husband to their beloved mother." 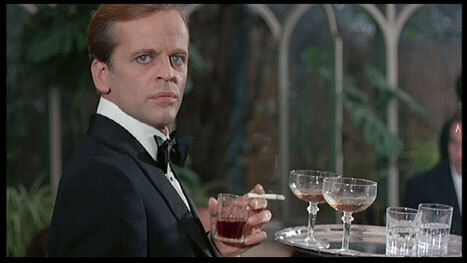 Above: Klaus Kinski in typically debauched mood in one of the many, rather free adaptions of 'Venus in Furs'. But let's not get carried away with Freudian analysis. What exactly did Leopold do to inspire the word masochism? Indeed, was he not a respected man of letters, who wrote many evocative short stories about his native Galicia, most of them decidedly not of the whip-lashing genre? "Herr Leopold von Sacher-Masoch gives his word of honour to Frau Pistor to become her slave and to comply unreservedly for six months, with every one of her desires and commands. For her part... she is to allow him to devote six hours a day to his professional work, and agrees never to read his correspondence or his literary compositions.... Frau Pistor, on her side, promises to wear furs as often as possible, especially when she is in a cruel mood...."
Leopold's relationship with the feisty Frau Pistor was to provide material for his most famous literary creation, ' Venus In Furs'. Yet his subsequent marriage to Aurora Rumelin was to be even more colourful than his adventures with Fanny. Needless to say, the whip came back out the closet. But enough digressions - what about 'Venus In Furs' ? Well, it tells the story of a Galician nobleman called Severin von Kusiemski, who is constantly begging his lady to maltreat him with a whip. We won't spoil the ending, but the book has inspired three films of varying merits, as well as a famed tune by cult band The Velvet Underground - 'Venus In Furs'. As it was, von Sacher-Masoch moved about Europe quite frequently during his life-time and he was not by any means regarded as a crackpot or pornographer. He has been noted as a compassionate man who felt deeply about the injustices of life, with a marked conscience for the lot of the impoverished and oppressed peoples. He married twice, and his obsession with the lash was matched only by his unfailing quest to find 'betrayers' for his wives, so that they could humiliate him with their infidelities. However, as fate would have it, von Sacher-Masoch did end up going rather bonkers, and like his eponymous forbear the Marquis de Sade - he of sadist fame - he was committed to an asylum. Well at least he wasn't dull.